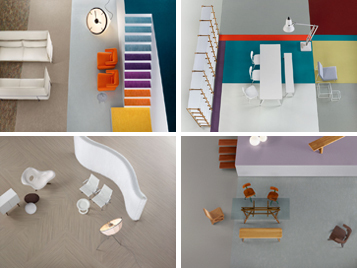 listed below are the most frequently asked questions about our marmoleum collection. 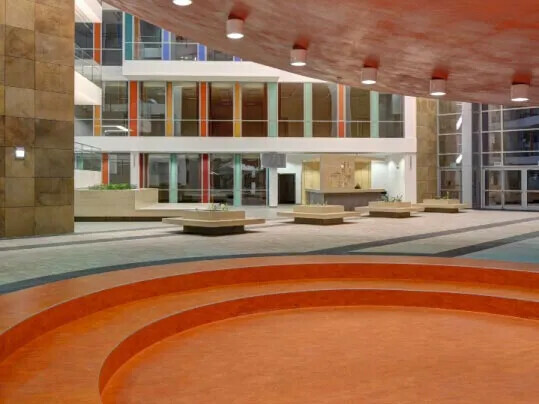 Marmoleum is Forbo's brand of linoleum flooring which is a natural flooring product consisting of linseed oil, pine rosin, wood flour, limestone, pigments, and Jute. 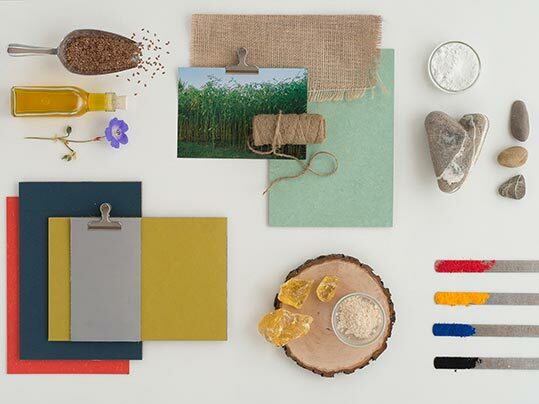 Curious how our Marmoleum is made? Watch our video below! What Is the life expectancy of Marmoleum? 15-25 years for large commercial projects. However, because Marmoleum has natural timber/rosin ingredients it will continue to harden with age and can have a life expectancy greater than 40 years. Do I need to weld my new Marmoleum floor covering? The decision to weld Marmoleum is a purely aesthetic decision. A tight edge butted join will provide a secure and serviceable join for general purpose locations. For healthcare and specific location requirements, welding using our heat welding system may be the most appropriate option. 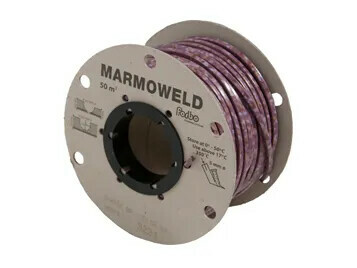 There are Multi coloured welds available to make this join blend in. If damaged can Marmoleum be repaired? Yes, a benefit of Marmoleum is the ability to repair abnormal damage such as deep scratch from moving a fridge. Please contact us for direction. Can you cove Marmoleum ? Yes, there are two methods. Border cove and pre-made coving available in lengths called Cove Ezi. Is marmoleum the same as linoleum? Yes, Marmoleum is our brand of linoleum flooring. 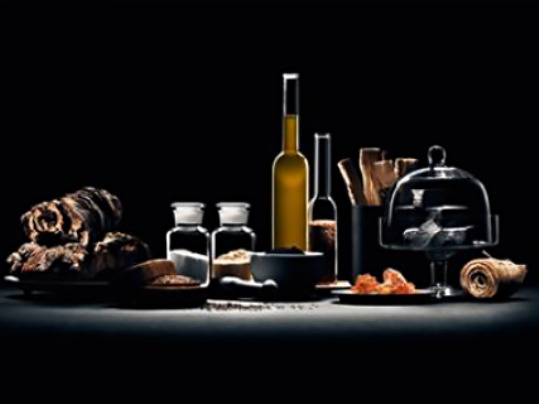 Linoleum has existed for over 150 years and one Forbo are the drivers and leaders of the category globally with a long history in linoleum. Is there an Australian Standard for installation of Marmoleum? Yes. Marmoleum installation is covered in AS1884:2012 Floor coverings - Resilient sheet and tile -Installation practices. One should always have a qualified flooring installer/trade person install your floor. 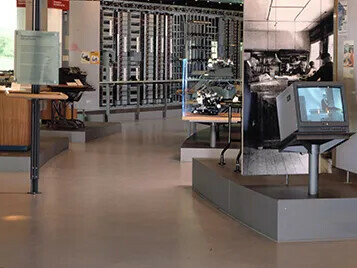 Is Marmoleum anti-static and can it be used in a computer server rooms? Can I use marmoleum in my bathroom ? We don’t recommend installing Marmoleum in bathrooms / wet areas. however, we suggest using Forbo’s step safety vinyl instead, which, has the best overall wet barefoot slip test results. Copies of our resistance to chemicals are available on request. In what application can Marmoleum be used ? as well as residential projects. What exactly is Topshield 2 and is this non-toxic? Does Marmoleum require stripping and sealing? 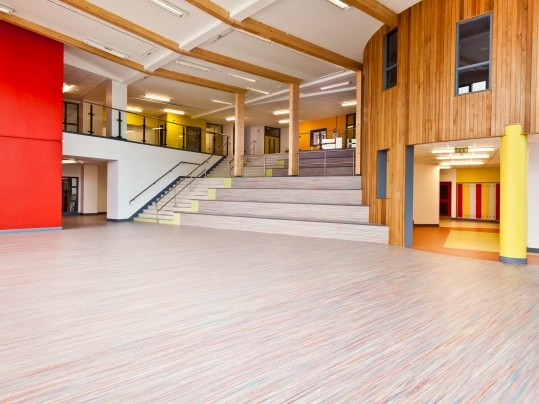 Marmoleum achieves an R10 - P2 and Marmoleum Textura planks achieve R10 - P3 slip rating warranted for the life of the product. See the CSIRO slip guide for applicable areas. Can I install Marmoleum with under-floor heating systems? Yes, Marmoleum can be used in conjunction with under-floor heating systems. What exactly are the ingredients used to make Marmoleum? For full details please download our EPD environmental product declaration sheet below. 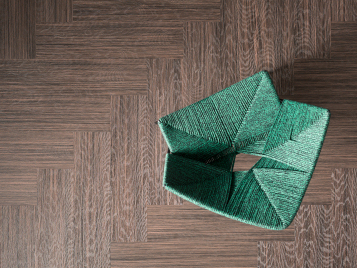 At Forbo Flooring we believe an open, honest and transparent approach to demonstrate a sustainable attitude is the only way to demonstrate the credits we attribute to our products and processes. Yes! Made from 97% natural, 72% renewable and 43% recycled raw materials. Forbo Marmoleum has the lowest environmental impact and CO2 footprint carries the most independent, LCA*-based environmental labels and certifications of any floorcovering. How do I protect Marmoleum floors against furniture? Use protective feet on chairs and tables to reduce scratching. Castor wheels should be of soft material suitable for resilient floor coverings (according to EN425). How do I get rid of the yellowing from Marmoleum? As all linoleum completes its maturing, a temporary and variable natural phenomenon occurs which may give the product a yellow tint. Expose the product to either natural or artificial light to allow this tint to disappear and the true colour of Marmoleum will develop. Does Marmoleum complies with BCA C.10 Fire standard? 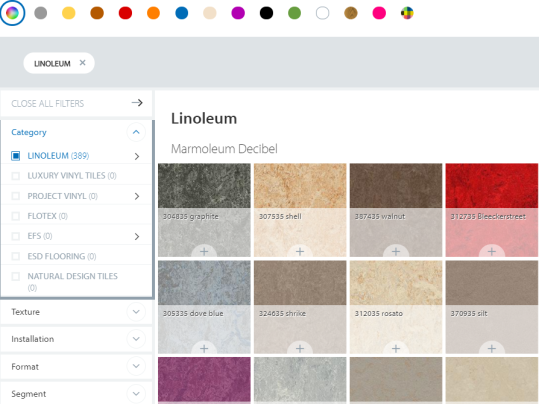 Is there a way to view all of your Marmoleum flooring collection on one webpage? Marmoleum contains zero plasticizer and phthalates, Linoleum or Marmoleum flooring is all natural made from 97% natural raw materials. 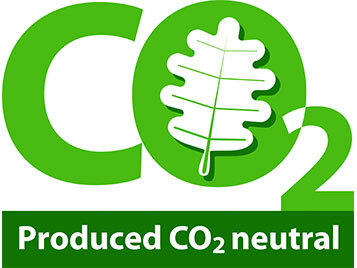 How is Marmoleum CO2 neutral? Marmoleum, world first CO2 produced floor covering! 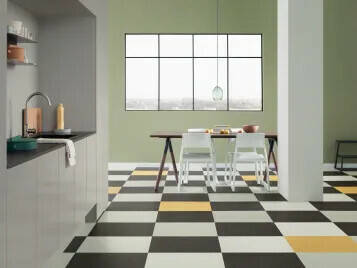 Marmoleum is made from natural raw materials, most of which are harvested as annual crops. Flax plants, which provide the vegetable linseed oil, jute, used for the mesh carrier on which linoleum is calendered and wood flour obtained from the waste material of production forestry, all during their lifetime capture CO2 which is absorbed in the plants and trees that are used to manufacture linoleum. Marmoleum decibel already has an underlay attached, so no need to add extra underlay.